Advil coupon can be found on Websaver’s website. Once you go to Websaver’s website, you can select to either mail or print this email. If you choose to have this coupon mailed to you, select the coupon, create an account and claim your coupons. The coupon will arrive within 1-2 weeks. 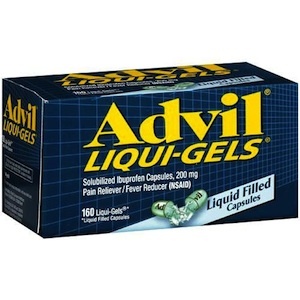 Advil Coupon is Save $3 when you purchase select sizes of Advil Liqui-Gels (excluding 12s & 16s. Advil Liqui-Gels relieve discomfort including headaches, menstrual and back pain, and are the only pain reliever that also address migraine symptoms of nausea and sensitivity to light and sound. The medicine in Advil Liqui-Gels is already dissolved – so it gets to work fast.